The Moon Goddess is our first weathervane design that featured the human figure and to this day, she remains one of our most popular designs. 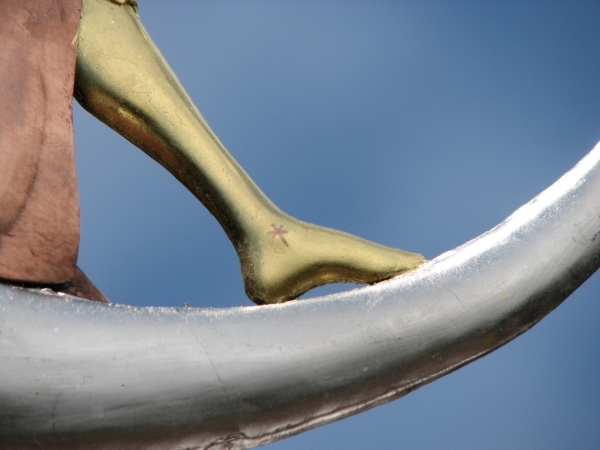 Because we craft each weathervane to individual order, we can personalize this weathervane in several ways. Most of our customers choose optional gold leaf on the moon goddess’s face, arms, legs and the little crescent moon on her headdress. Many customers also want the moon gold leafed; it is a matter of personal preference. The color of the translucent glass eyes of the Moon Goddess Weather Vane are chosen at the time the order is placed. 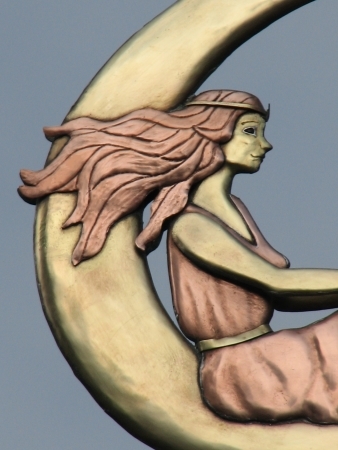 Because the Moon Goddess is a symbol of the night sky, a number of our customers have installed small outdoor lights on the roof beneath her to be turned on at dusk to illuminating her in the evening. The gold leaf picks up the light and creates a luminous glow, helping to set her features off against the dark star spangled night sky. We have made several commemorative versions of this weathervane, personalizing her features, body type and hairstyle accordingly. Also very popular with artists and people working in the Arts, we have crafted versions of this design for visual artists, dancers and writers. She has also been popular as a holiday, birthday, or anniversary gift. In addition to displaying her on the roof, a number of customers have displayed her in a garden setting where she can be easily seen from inside the house. 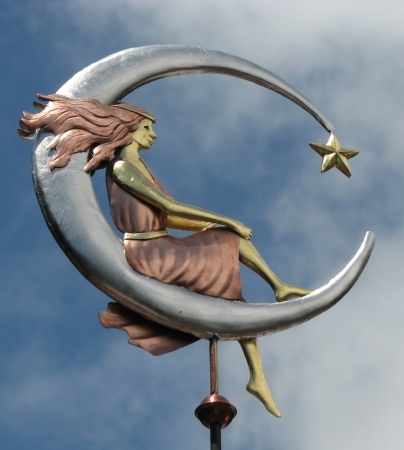 If you like our Moon Goddess Weathervane, our Star Maiden Weathervane is similar but subtly different. 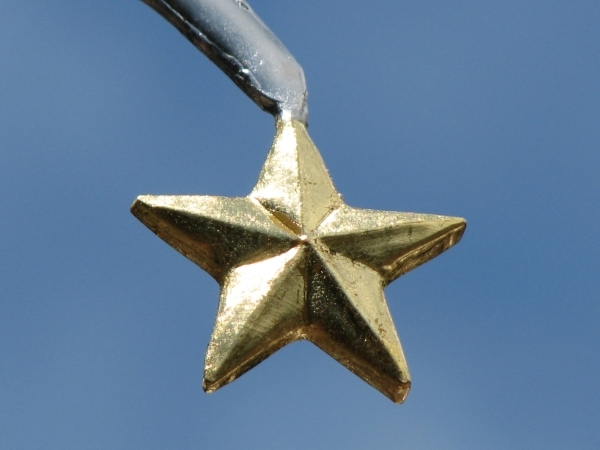 Her resting place is on a star rather than the moon so if your vision is more celestial than planetary, she may be just the weathervane for you.